Nicholas Gebhardt leads the jazz research programme at Birmingham City University in the United Kingdom. His research interests include popular music in the United States, the entertainment industry, and jazz history, and his most recent book is Music Is Our Business: Popular Music, Vaudeville and Entertainment in American Culture, 1870-1929, published by the University of Chicago Press. Tony Whyton is Director of the Salford Music Research Centre at the University of Salford in the United Kingdom. 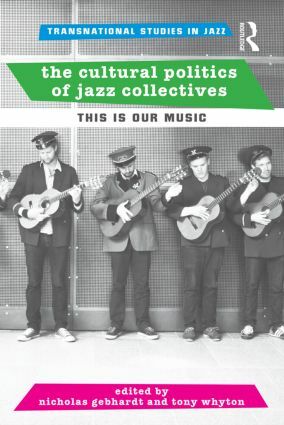 He is co-editor of the Jazz Research Journal and has championed new jazz studies research through the development of international research projects and events, including the HERA-funded Rhythm Changes: Jazz Cultures and European Identities project – the largest research project ever funded for a study of jazz in Europe. His book about John Coltrane, Beyond A Love Supreme: John Coltrane and the Legacy of an Album, is published by Oxford University Press.